Use Social Media and Video Sharing Sites for Blogging. Social Media is Most Powerful things on the Internet Today. Major Sites Like Facebook, Twitter, Google+, has a lot in a Bag for Bloggers, Not Only Social Sites But Video Sharing Sites Also has lots to be used in Blogging. They All Provides Huge Traffic and a Loving Fan Base which is all we Need in our blogging career.So, To Get Success with Blogging we Must Know How to Use All Social and Video Sharing Websites? But Majority of Bloggers doesn’t know this. They only use Few of these Sites in a way which will never benefit them. So, We have created this guide to tell newbies which Affects social Media can have on your Blogging career. How to Use Social and Video Sharing Sites for Blogging? Facebook, Twitter Increases Brand Awareness and Build Reputation. Twitter having Millions of New Tweets daily can Drive Huge traffic to Blogs. 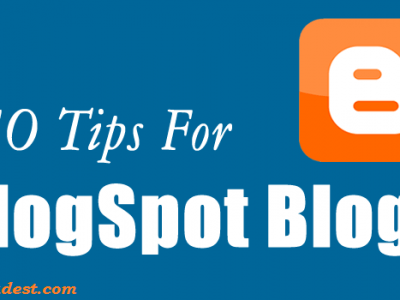 Sharing Blog Content on Google+ can Help in increasing Rankings on Google and Alexa. As we all Know Relationships are Most Important in Blogging, Google+ Will Help Build More and More Relationships with other Bloggers. Google Allows to Connect their Blog Content with their Google+ profile and it will also show up in search Results. So, it will increase Author Name Popularity. All Social Sites Help in Increasing Sales. Video Sharing Sites Like YouTube, MetaCafe, Dailymotion can Really Drive Huge Bunch of traffic. Expand Content Reach and Increase Conversion. Because Search Engine Shows Many Videos of any topic on the first page which means you don’t have to Work on a Website to show on 1st Page. You can Create a Video and Drive All traffic through that video to your Blog. Videos are Easy to Share as Compared to Text Content. YouTube has Million’s of Page Views Daily which can be Utilized for Blogging. Videos Creates Deeper Effects on Customer’s Mind and gain Reputation. Users Tend to Remember Videos for a Longer Period of Time than Text Content. Many Bloggers Using Feed Burner can use Twitter to Gain Some Genuine Traffic and Customers. FeedBurner Allows their Users to Automatic Post Articles on Twitter after One time Setup. Below are Steps to Setup Automatic Post sharing. 1. Login to Feedburner and Open Your Feed. 3. Then a New Sidebar Menu will Open. Click at “Socialize”. 4. On Next Page You Will see a Button “Add a Twitter Account”. 5. Click that Button, Add Your Username, Change Settings According to Instruction and You are Done. We Know Manual Posting at Facebook can Take Some time which is very Important for Blogging. So For Automatic Publishing You Can Use “RSS GRAFFITI” App at Facebook. It Will Automatically Publish New Posts on your Facebook Page with some snippet. 1. Log in to Your Facebook account and Open App from Above Given Link. 2. After Opening the App, Click at “Add New Publishing Plan” Button in Head Section. 3. 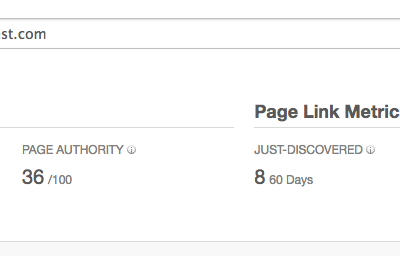 Now, Enter Plan Name and Click “Create Publishing Plan”. 4. In the Next Step, Enter A Source by Entering “Feed Address” and A Target by Selecting “Facebook Page Address”. 5. After this You are Almost Ready. Now, Lastly You only Need to Click at “OFF” Button to Make it “ON”. When it Will Start Showing Green “ON” Button, then You are Done. Quickly Growing Social network Google+ Holds a Key in getting Success with Blogging. So, Focus More on this Social Site and Get more followers to Gain More Exposure. For Automatic Sharing You can use inbuilt Tool if You are Using Blogger Platform as Given in the Screenshot Below. If You are on WordPress Platform, then use Hoot Suite which will Provide Free Tool to Automatically Share Content at Google+ from Feeds. Videos Can Bring More Customers for Your Blog so Consider Creating a Video for Every Post You Write. For Example, If You are Writing a Article an Article on “How to Share content on Social Media” then Collect some Main lines from that Article, Create a Presentation, Convert it to a Video, Insert Music and Upload it to YouTube, DailyMotion, Metacafe. Don’t Forget to Include a Link of Your Original Article in Description of Video at YouTube, DailyMotion, Metacafe. Keep Video to Original, Don’t Use any Fake material Only to Attract Customers. Share Your Video on every Social Site and also Embed it on Your Blog. Don’t use any Content which is hard to understand for viewers. Use Mostly Searched Keywords in Video Title. Give Special Touch to Videos Using Various Video Editing Software. Don’t Use any Low Quality Gadget or Software while Creating Video. Provide Something Interesting. Don’t do Boring Work. Include a Brand Logo in Your Videos to Increase Popularity. Social Networking and Video Sharing Websites are Best way to Generate Traffic without Google’s Help. So Never Miss Out on this. You May Fail while trying to get traffic from Search Engine But With these Sites, you can not fail if done everything Right. Now, I suppose you got fair idea about How to Use Social Media and Video Sharing Sites for Blogging. Don’t Forget To Share Post on Social Sites.